I love discovering new brunch spots. 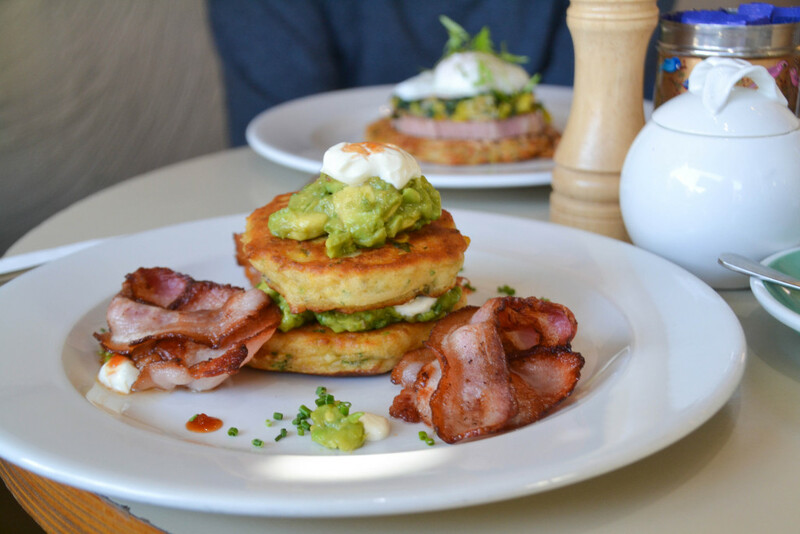 And it’s not difficult in Melbourne – there’s always a quality brunch spot popping up around every corner. 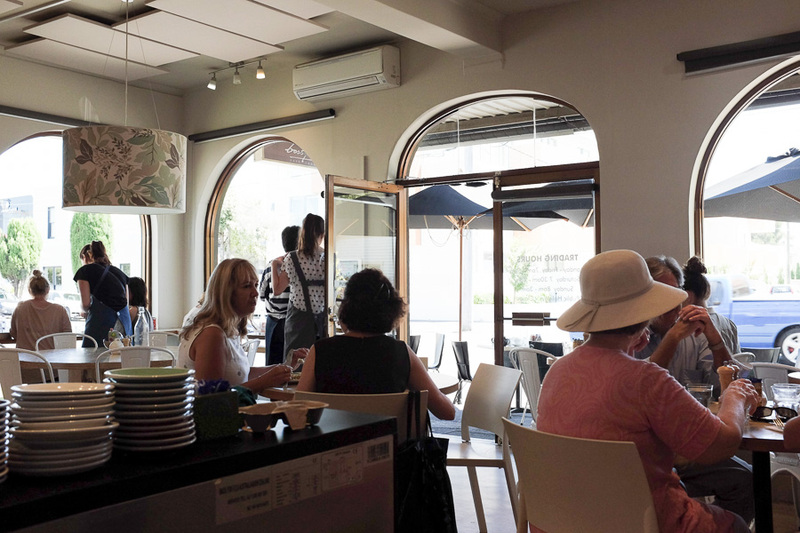 My latest find is a little cafe in Brighton, called Bossy Boots, located just off the main drag on the quiet end of Bay Street. Bossy Boots is a cute neigbourhood cafe which has developed somewhat of a cult following for the Brighton set. Upon entering you’re immediately struck by a warm, welcoming atmosphere which makes you feel at home. The interior has a cosy feel with its fresh flowers, paintings and front counter laden with sumptuous treats. The light and airy space is a perfect spot to relax while enjoying a weekend brunch, while the alluring courtyard and the front tables on Bay Street make for premium spots in the summer months. Melbourne chefs, Ben Foreham and Rachel Browne, are the foodie duo behind Bossy Boots, bringing their experience from the Stokehouse, Circa and Dench bakers between them. One of the five chefs in the exceptionally busy kitchen is Nonna Thomasina (known as Nellie) who delivers some of the best lasagne and cannelloni you’ll taste in Melbourne. It’s interesting to hear the story behind the name ‘Bossy Boots’. Ben and Rachael once worked together on a super yacht with the same name, cooking food for celebrities like Paris Hilton, an experience they will remember forever. They often dreamed about opening their own cafe. When they ventured home to Melbourne they turned their dream into a reality. 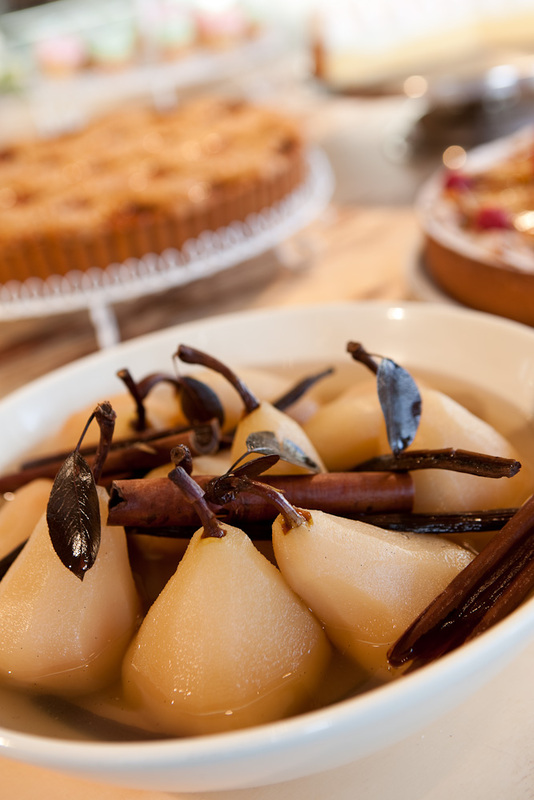 The heart of Bossy Boot’s philosophy is centred around honest, home cooked gourmet food. Ben and Rachael are the master of pastries making their own Danish pastries, high-end French cakes and some of the best pies, quiches and sausage rolls in town. 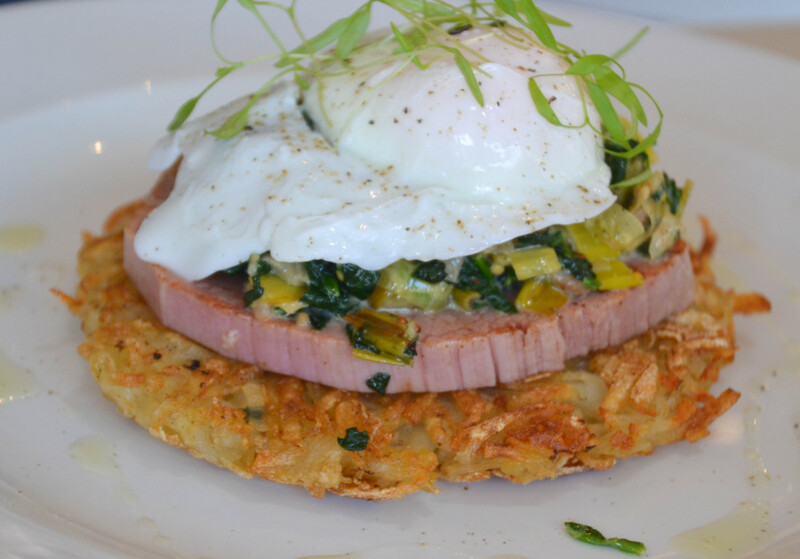 The menu features all the typical breakfast and lunch classics with a contemporary twist. Think homemade muesli , a warming bowl of porridge and Ben’s Big Breaky with all the trimmings atop rustic sourdough. Coffee is from one of my favourites, Supreme, churned out to caffeine hungry patrons from the large La Marzocco machine. I couldn’t go past ordering the corn fritters ($18.50) after seeing them scrawled onto the blackboard specials. 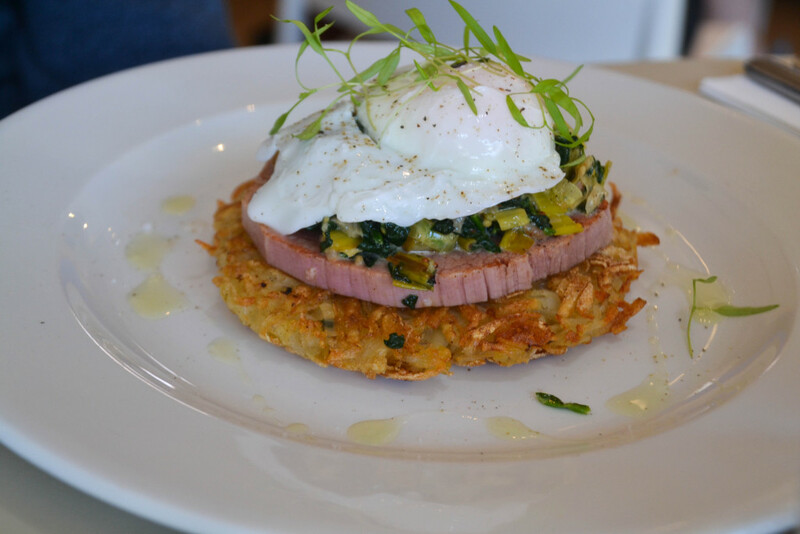 The dish was brilliantly executed and a cut above the usual brunch presentation. 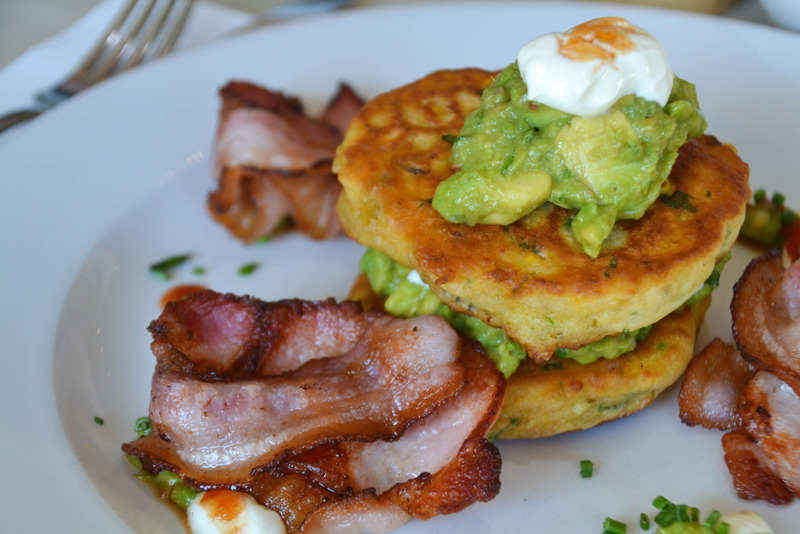 Two generous sized corn fritters were sandwiched between luscious layers of seasoned smashed avocado, salsa and sour cream. Crispy bacon was served on the side, the perfect accompaniment to bring all the flavours and offset some of the creaminess with a bit of smokiness and salt.The corn fritters themselves had a wonderful texture, light and moist without being stodgy or soggy. 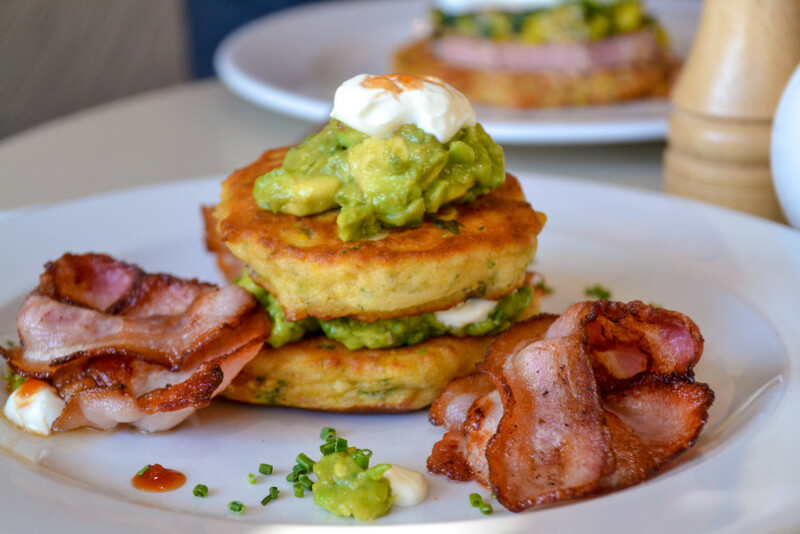 It’s a big call but these corn fritters almost rival my all time favourite St Ali. What’s also great about Bossy Boots is their great range of take home options. You can choose from a mouth watering array of healthy salads, freshly made soups, quiches and pastas which are made fresh daily. I finished my visit on an even sweeter note my ordering a slice of their famous raspberry pound cake from the bakery counter. 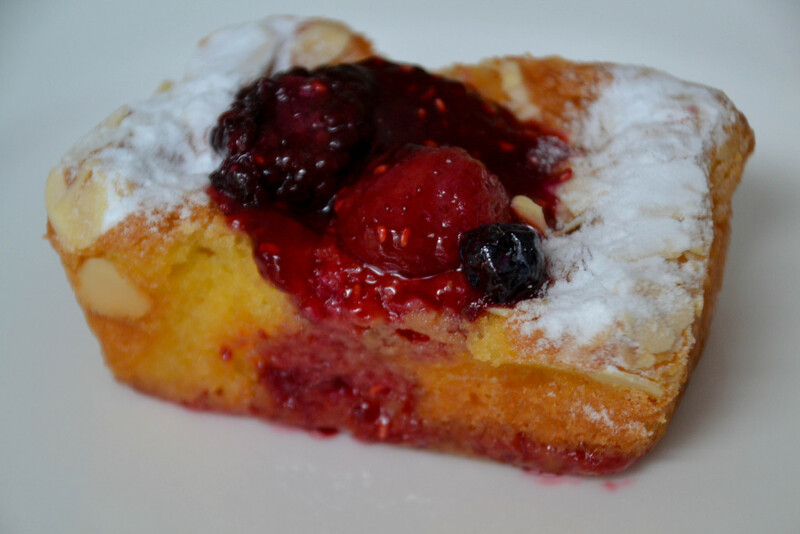 A combination of almond meal and butter provided a perfect base for a cake full of moisture and flavour, topped with fresh raspberries. Although Brighton isn’t on my usual brunch circuit, a trip to Bossy Boots was well and truly worth it. 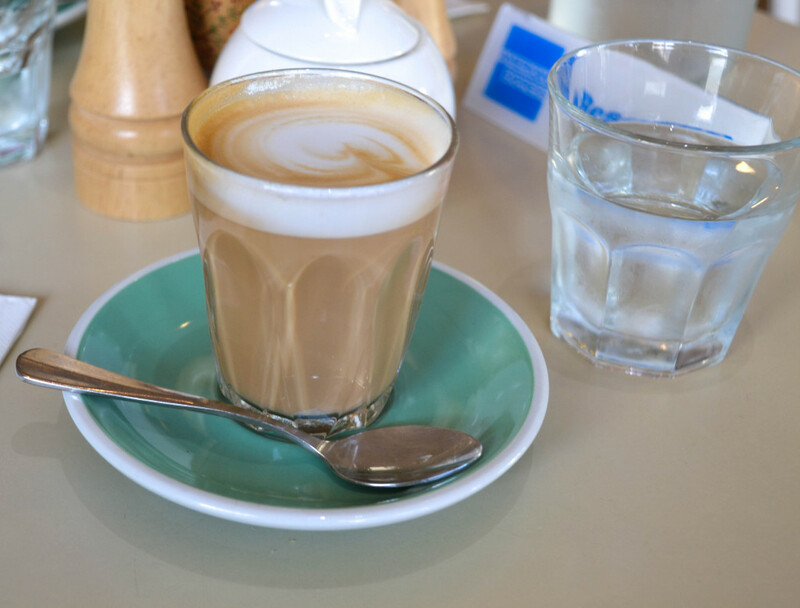 With food and coffee as good as this, Bossy Boots will not remain a secret for just the Brighton locals for long. I was invited as a guest of Bossy Boots.